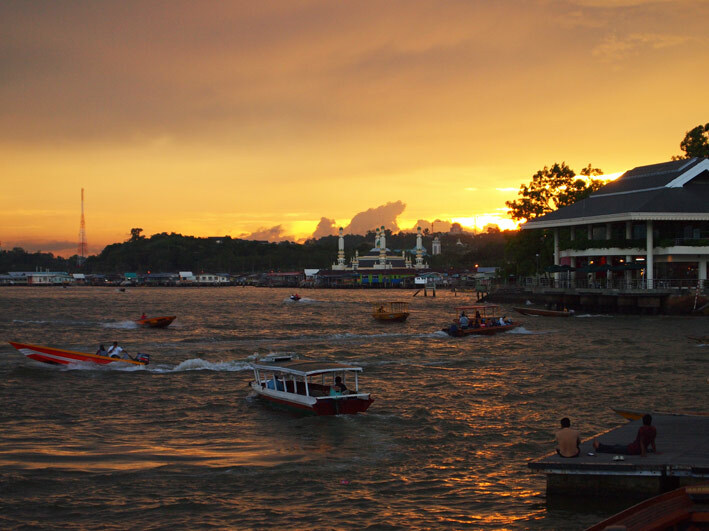 It is impossible to wander along the Bandar River waterfront without being stalked by water taxi drivers that approach at great speed in the hope of getting a week’s salary out of a gullible tourist. Even when standing on some of the narrow bridges over Sungai Kedayan that join the villages on either side of the river, boats drivers will whizz underneath as if on the set of James Bond film and gesticulate in a manner to suggest they will return to collect you unless they are given the appropriate ‘no thank you’ gesture. It is not easy being a tourist.